Today we had mostly cloudy skies with some scattered rain showers. The winds were from the west south-west at 5-10 mph and the temperatures were in the upper 70’s. Today we had reports of sea mullet and pompano on the Buxton and Frisco beaches. Out at Cape Point in Buxton sharks and sea mullet were caught. The inshore boats were catching puppy drum and big red drum today in the Pamlico Sound. The offshore boats had real good fishing with lots of dolphin and yellowfin tuna, a few wahoo and black fin tuna. The marlin bite was good too. 9 blue marlin, 4 white marlin and 2 sailfish were released today. 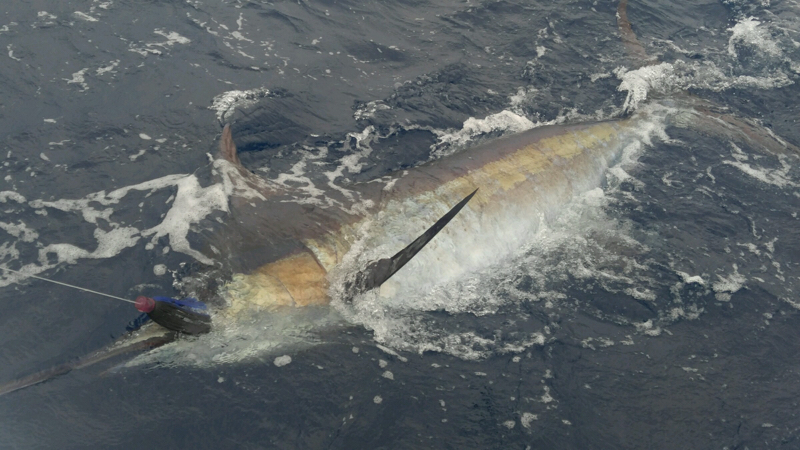 Pictured is a nice 110 inch blue marlin released by the “Bite Me” charter boat today. 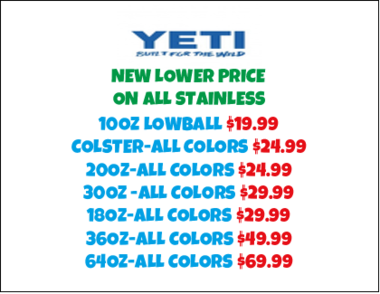 We still have a few Limited Edition Yeti Sea Foam coolers in stock. If you are looking for one get it soon because once there gone their gone. 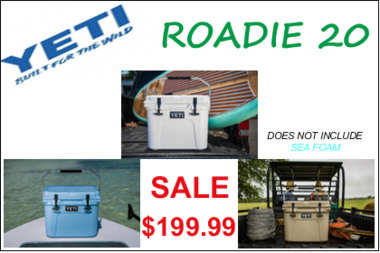 This entry was posted in Cape Hatteras Weather, Featured Products, Frisco Market, Local News, Uncategorized, What's Biting and tagged browning, cobia, costa, Drum, drum releases, hatley, New Yeti Rambler Colors!, pompano on buxton beach, pompano on frisco beach, puppy drum, Salt Life, sea mullet, Smith Sunglasses, Sperry, Suncloud Sunglasses, tervis, woolrich, yeti sea foam coolers by frgstaff. Bookmark the permalink.